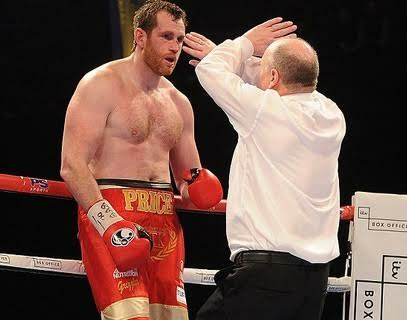 David Price fell victim to his 4th pro defeat on Saturday night against Christian Hammer. Hammer was down in the 5th, yet sadly the almost 20 stone Price couldn’t make the most of that and “gassed”, so that Hammer was able to stop him on his feet in the 7th round. Price was visibly finished, so much so, that he really struggled to get up off his stool in the corner, a good 3 – 4 minutes after the fight. It would appear that whilst a lot of boxing fans/enthusiasts and experts could see the issues Price has/had, his team could not, which is more than a little worrying. I take no enjoyment in being able to spot the frailties in Price’s condition all those years ago, I am more worried that his team or him didn’t address this issue. It could be tempting for Price to go back for a British title fight in order to win a Londsdale outright and whilst this seems a perfectly good decision on the surface, success in that will lead to other “opportunities” which could lead to more defeats and heartache. He would most likely have to fight Sam Sexton for the belt as Dillian Whyte vacated to chase a fight Vs Deontay Wilder. Sexton Vs Price is very “winnable” fight for Price on paper, Price having already KO’d Sexton within 2 rounds in 2012. As an amateur, David Price won a Bronze Olympic medal and Gold at the Commonwealth games. As a professional he held the English heavyweight title in 2012, and the British and Commonwealth heavyweight titles from 2012 to 2013. There is no disgrace in that, not everyone can be a Lewis, a Klitschko, a Holmes or an Ali. He should be very proud of what he has achieved. That said, it really is time for the 33 year old to hang up the gloves now. He’s a nice bloke, perhaps too nice for boxing and I’m yet to see anyone with a bad word to say against him outside of boxing. A future in punditry awaits him.